Khadamati (“Khadamat” or “we” or “us” or the “Company”) completely understand how important your personal data is for you. We fully secure your privacy. This Policy describe how we are going to use, share, transfer and protect your data. We need your data to authenticate your identity by using your name, email address, phone number, location, photo. If you are not interested in sharing these details, please do not use our application. This private policy is applied for all the data which is being collected from our website i.e. 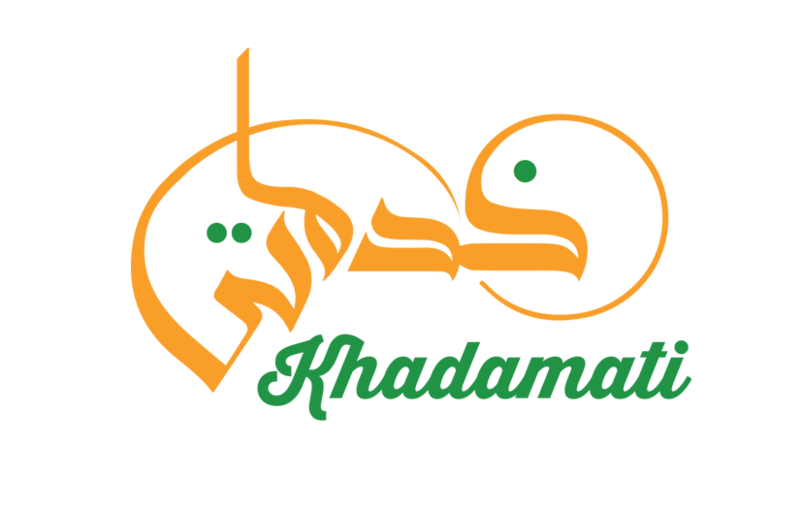 (“khadamatiapp.com’”), through both our android application i.e. for customers and vendees and through both the IOS applications i.e. for both the customer and vendees. Altogether we can say it as ‘Khadamati Platform’. Any information which is collected from you for ‘khadamati Platform’ will be transferred and share to our own servers within Oman. We need your contact information like name, email address, phone number, address. Your location information so that our vendors go and provider services. We would be needing your billing information regarding your credit card, debit card and other payment card if available. Personal Information like Name, email address, phone number, location. Khadamati provided credentials having the username and password. If you wanted to work as a Khadamati service provider, you have to go through the background verification check. We will be checking your skills, eligibility to work and availability. We know that our customers have to submit the card details and other bank details while accessing any service but those details will not be received by Khadamati itself. There is highly secured internet connection and through PAYMENT GATEWAY, these information is transmitted. Khadamati platform generated one customer ID and through payment gateway, khadamati is informed that payment is cleared or not. No card details shared by khadamati. You can share your feedback about the services our vendees have provided. You can rate us depending on your experience with Khadamati. you can share your level of involvement with the vendees and all over experience with us. In some cases, we might use the information with Khadamati Platform which is shared by you, information like name, email address, phone number, location. Your survey information will be your personal information. Data collected by us via technologies: we collect your data through technologies for the sake of enhancing our application. Sometimes, your data is being shared by khadamati or might be our third party vendor asks you for some information on the Khadamati platform. We will describe the below scenarios in which you might ask to share your information. Types of browsers that your phone is using. Your contact number and other details related to phone number like the IP address of your mobile devices, make and model of our devices. We might collect some more data like how much time you spend using our applications, how long you use specific feature of the application and at what instant of time, what were your actions on using the app, how often you are using the app. In Addition to this, we may collect information about the websites from which you are downloading our applications for better understanding which site is more affecting. We collect all these data specifically for App Usage information. Tracking Location: If you are working as a service provider i.e. vendor and you are using the Khadamati Vendee application, your location will be captured by GPS (Global Positioning System). For any more information on why your information is being shared, how we are using it and with whom it need to shared, please contact Service Professional Agreement. Third Party Data Provided by you: In Khadamati Platform we provide you the feature to invite your friends for experiencing the Khadamati application. We may store your friends email address and phone number only for sending automatically email for inviting him/her to come to Khadamati platform and experience it if needed. We store this info only for sending one-time email and for keeping an eye on tracking referral program. We assure that we will not be using the referral email for any marketing purpose. Only when your referral gives us permission then only we use the email id for marketing. Scheduling, rescheduling and cancelling the tasks. Interaction with customer via. Email, phone number, or sms messages. For proper idea of placing the professional vendors at different locations. We will be sending emails to you for marketing and promotions unless you stop us saying you don’t want anything. Providing technical support for the Khadamati users and professionals. Promotions and marketing for Khadamati services. Conducting Research and Analysis programs gradually. Woks on better functioning of Khadamati application and end user experiences as well. Discovering and investigating for any kind of violation in private policy of Khadamati platform. We keep an eye on any fraud and chargebacks and other related matters. How your data is protected with us? We understand the confidentiality and security of your personal data. We have implemented highly secured technicalities for the protection of your data from unauthorized access or improper use. All the credit card information is not getting saved on our servers to protect your credit cards. All details are saved at payment gateway (Payment Gateway servers) when it is transferred to our third party to payment processor. Moreover, all your personal details are also limited to our office, service providers and our call center. Only employees like manager, service coordinator, service provider, vendors are allowed to use your personal data. All the employees are updated with the mentioned private policy in Khadamati Platform. We use to notify via email to all the employees whenever any change or update occur in private and policy. We always advice you to logout from your account whenever your work is finished. It’s always important to protect your data from unauthorized access. We would like to know you that despite our efforts, no security measures are perfect, so we cannot take the guarantee for the security of your personal data. We will provide you the option to update, correct and delete your personal information. For doing that please contact our office @24568644. You may update, delete, edit some of your data in your personal account through Khadamati Platform. If any update happens, we will be notifying those changes here in this page of private policy.